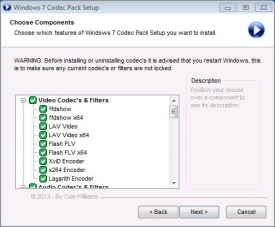 "Install most of the codecs you'll need to playback all media types in just a few clicks." If you're looking at this application right now, you're most likely one of the two people that I am about to describe. You may have stumbled upon this application after you found an awesome video that you really want to watch only to click on it and find out that Windows Media Player has no idea what it's supposed to do with the file. Or maybe it knows what to do, but just can't. Instead it sent you to go and download these things called "codecs" in order to play the file. A codec as it's name may signal, is an application/ program that encodes and decodes data in a way that your computer can understand. Without the proper codecs for a particular file type, your PC won't ever understand what it is supposed to do with the file and will do nothing instead, or tell you that it can't do anything and send you here. 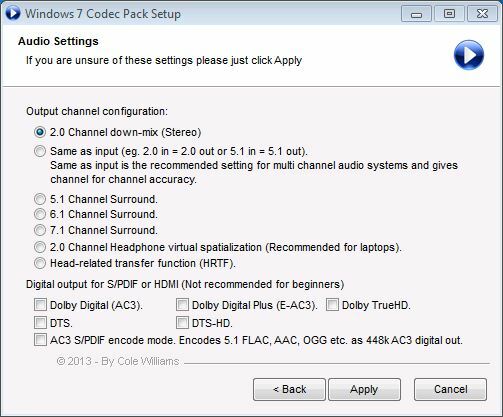 Finding the right codecs for your media player and computer can be a pain if you don't know exactly what to look for. The process can be long and strenuous if you are trying to search for and install several of them simultaneously. This will only lead you to eventually not even want to watch that awesome video that led you here in the first place. 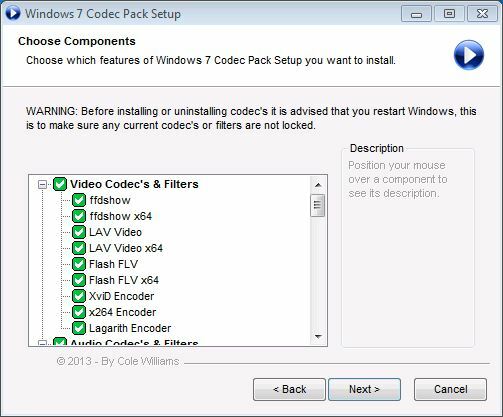 Luckily, our good friends over at Windows7Codecs.com created an application filled with most of the codecs that you will ever need to play most files on your Windows 7 PC. A simple application install can get you to your media fast. If the above situation didn't relate to you, then you're probably an experienced PC user that knew exactly what he came here for. In that case, you read this review for nothing. Sorry. 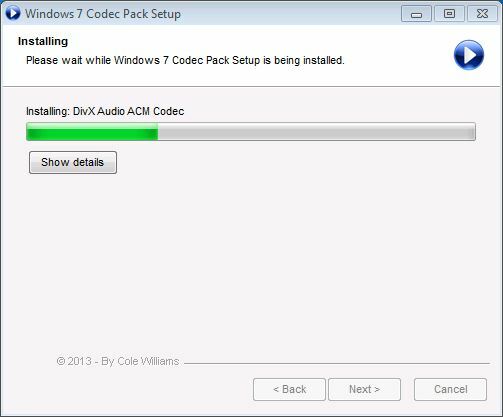 Download Windows 7 Codec Pack today for your Windows 7 PC and save yourself a big headache.